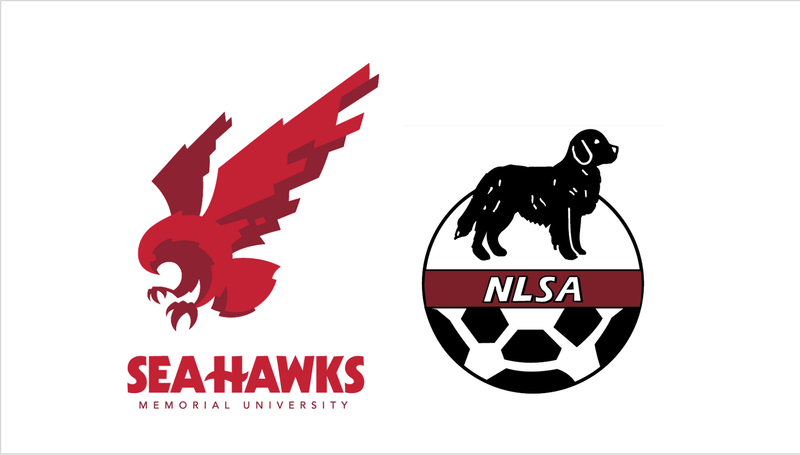 The Memorial University Sea-Hawks honoured the accomplishments of its student-athletes Thursday evening at the 59th Annual Athletic Awards Banquet. The ceremony, held on campus in the Bruneau Centre, saw students, coaches and athletes come together in celebration of the accomplishments from the past year. This year’s Butler Trophy (Sea-Hawks MVPs) winners were Sydney Stewart (Women’s Basketball), and Nathan Barker (Men’s Basketball). This season Sydney Stewart was named a first team AUS all-star, as well as an AUS Championship all-star. She finished the season in third place for points per game, and third place for points per game during playoffs. Her determination and work ethic helped her team reach the AUS championship final. Nathan Barker has developed himself into one of the elite players in the league and indeed one of the premier players in the country. A first team all-star this year, Nathan is a high achieving student-athlete, who carries himself with a great deal of class and respect. Barker finished second in the AUS for points per game and second for total points for the season. Five Memorial athletes were inducted into the Athletic Honour Society, which recognizes outstanding contributions to Memorial Athletics. Being named to the Athletic Honour Society is the highest possible honour that can be bestowed upon a Memorial University athlete. This year’s inductees were Sam Leawood (Swimming), Teri Murphy (Soccer), Maria Mackey (Soccer), Keisha Younge (Soccer), and Rosie Stanoev (Basketball). Several major awards were handed out on the evening, starting with the Frank T. Butler Scholarship Award. This award recognizes a commitment to athletics, academics, as well as community. This year’s winner was aforementioned Nathan Barker. The Erin Bursey Memorial Leadership Award is given out annually to the student athlete that best exemplifies the qualities of a leader, both on their team and in the community. This year’s winner was Maria Mackey from the women’s soccer program. Head Coach Mike Power spoke highly of her, saying “Maria's default setting is to think about others. It's rare to meet someone so genuinely selfless, and her influence on the soccer team and program will be timeless”. Ally Somers was honoured with the Michael “Beecher” Smith Award. The award, named after the late Mike Smith, is given to the student-athlete who best exemplifies the qualities Mike Smith is remembered for. It honours the student athlete who goes above and beyond to maintain and foster positivity among their teammates, and within the athletic department in general. Over Ally Somer’s 5 years swimming for varsity, she has grown into a strong team leader and achieved many accolades including; U Sports qualification, team captain, seven individual medals, and has been an invaluable member of the women's relays. She shows great passion and dedication to the sport of swimming, having never missed a practice and persevering through life challenges. Ally has made an outstanding contribution to the team both in and out of the pool. Outside of the pool she organized team building activities, dry land training, and team logistics. The winner of the Keith Taylor Award was Elizabeth Organ (Track & Field). This award was created in recognition of Keith Taylor’s contribution to the sport and recreation community, both in the province and at Memorial University, and to assist current students who demonstrate similar ideals and community spirit. Elizabeth Organ has been a leader for the track and field team for three years. She consistently motivates her team through her hard work and leads by example, always providing a welcoming environment for new recruits to the team. The Emerging Leaders Awards are given to a male and female varsity athlete who have demonstrated strong leadership skills or leadership potential. The female Emerging Leader Recipient was Haille Nickerson from Women’s Basketball, while Kosta Tiodoravic took home the honour from the men’s basketball team.